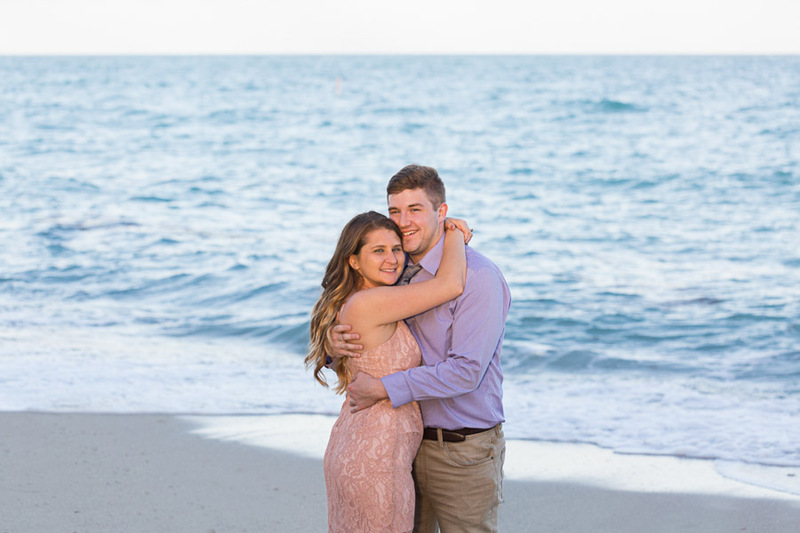 The plan: He wanted to propose on the pier by the beach behind the Ritz Carlton in Bal Harbour. 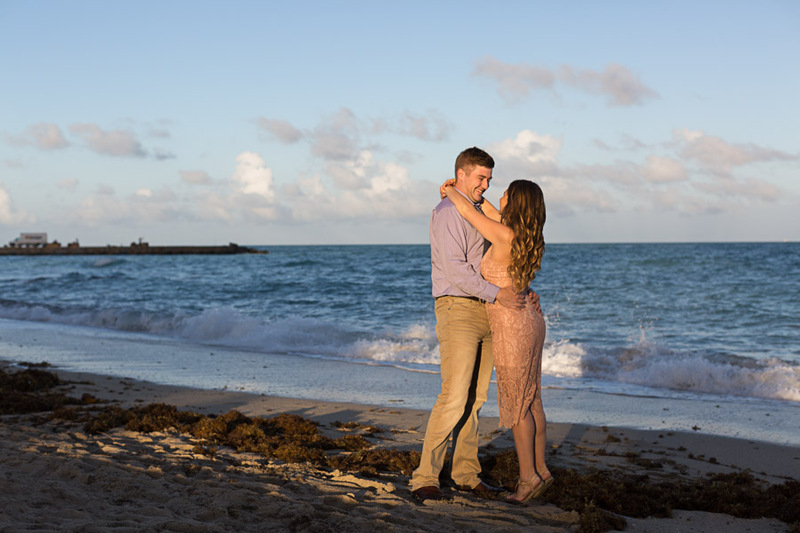 Just before sunset, they would walk out of the hotel and head to the beach. 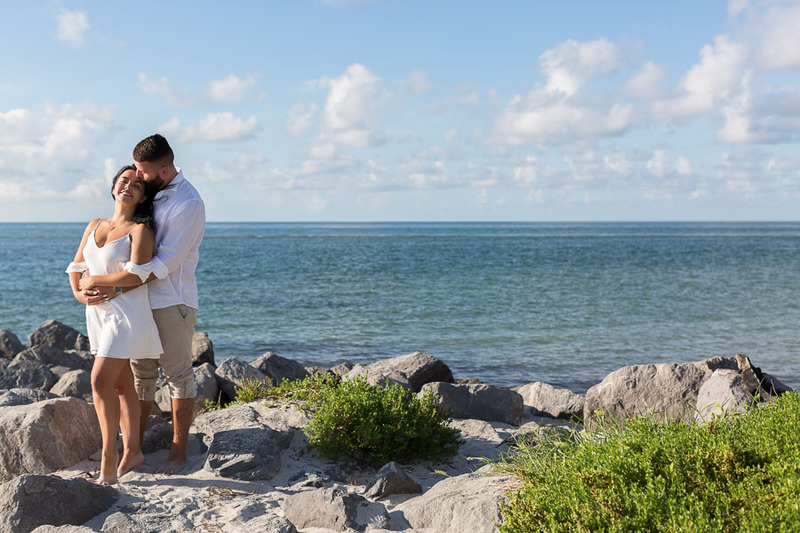 I would be waiting for them by the water shore to capture the proposal from a distance. How it went down: I arrived at the hotel early and waited for them both by the water. It was December 31st and the police started closing a small section of the beach around the pier. Turns out they were setting up for fireworks so the pier would be closed to the public! I texted him and suggested they walk along the water next to the pier instead. He had told me what the were wearing so I spotted them making their way to the water and started following them from a distance. I loved her reaction just as she realized that he was about to propose. 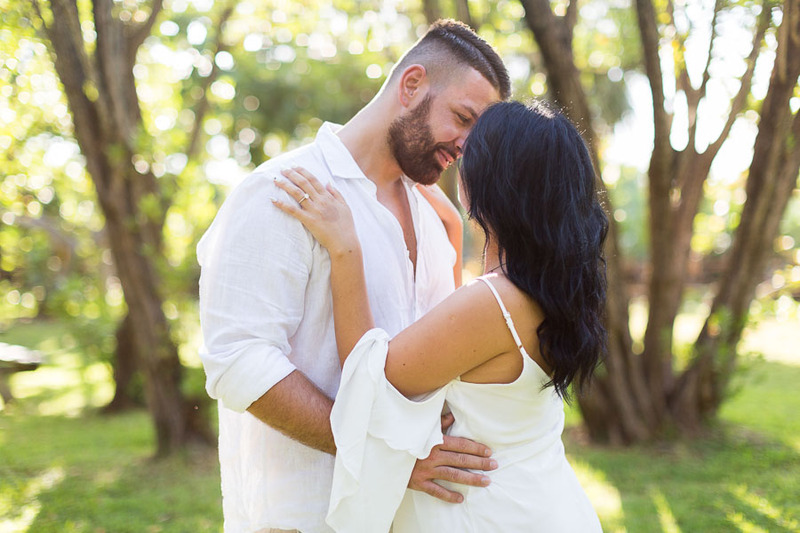 These two are both in the medical field and are so adorable and in love with each other. One of my favorite things is photographing people in love, and and to be able to capture surprise proposals is a real joy for me. I am not one to usually take the time for reviews, but in this case Tova was outstanding. 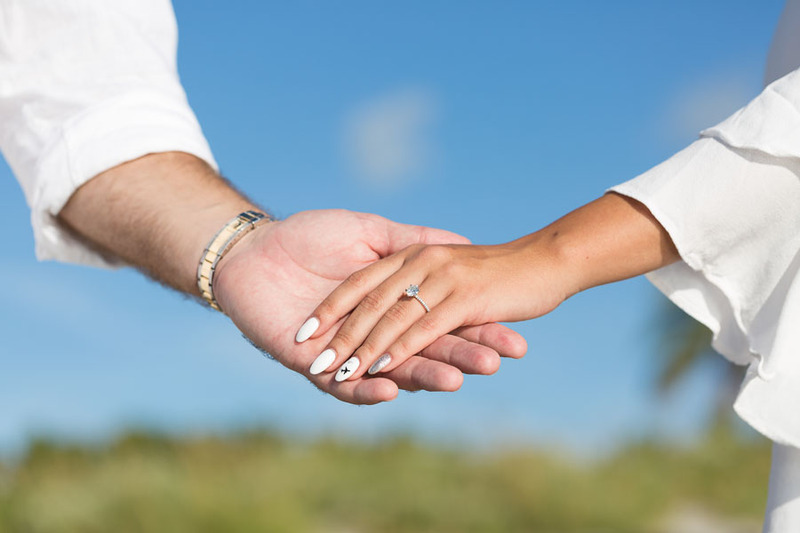 I had an original plan to propose, but that was thwarted when the dock I was planning on asking was blocked by police for an event. No problem, though, as Tova arrived early, warned me of the circumstances and helped adjust the plan on the fly. 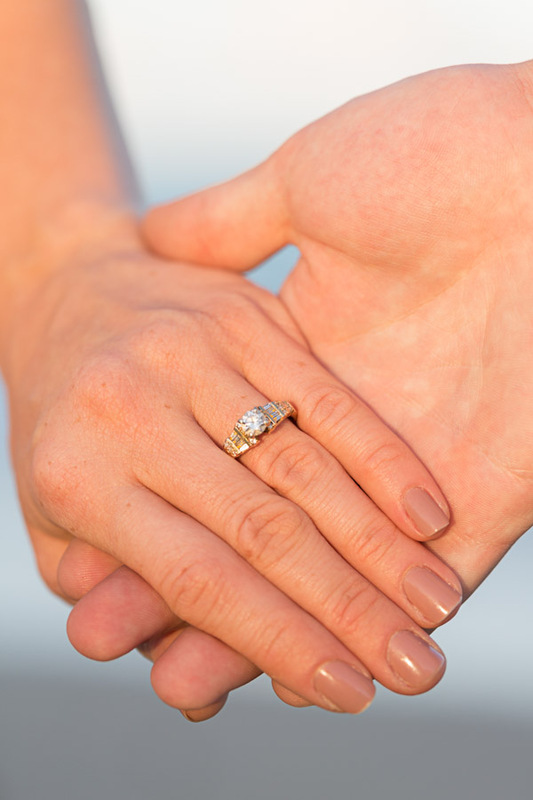 The proposal was incredibly stressful by itself, but Tova’s professionalism was exceptional. Also, the pictures were amazing. 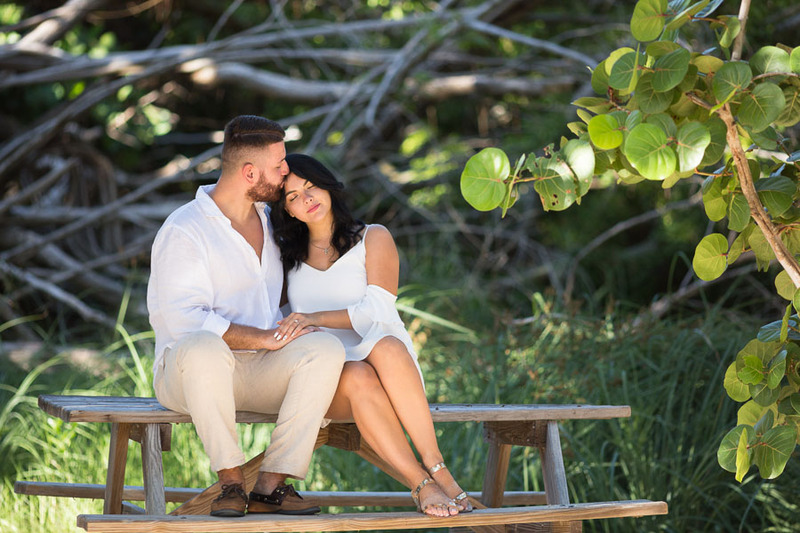 I would strongly recommend her services to anyone that is looking for a skilled and professional photographer. 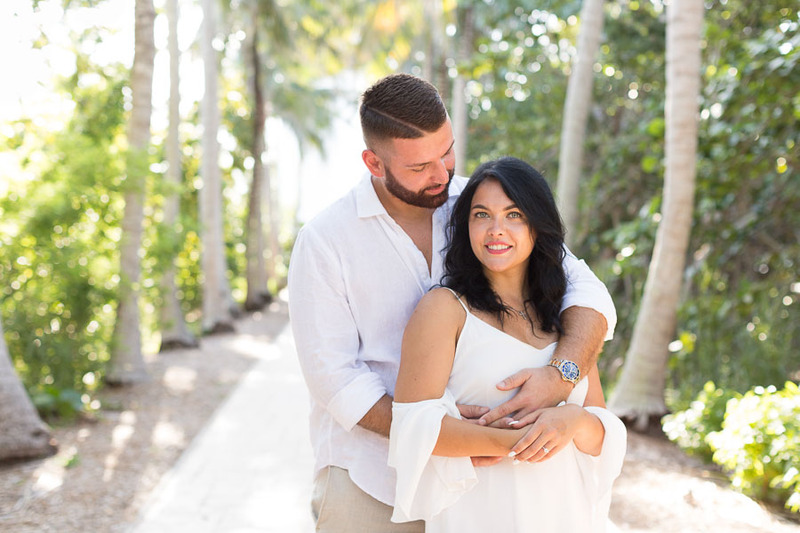 Check out all of the surprise proposals on the blog and other photo sessions in Bal Harbour, Florida. 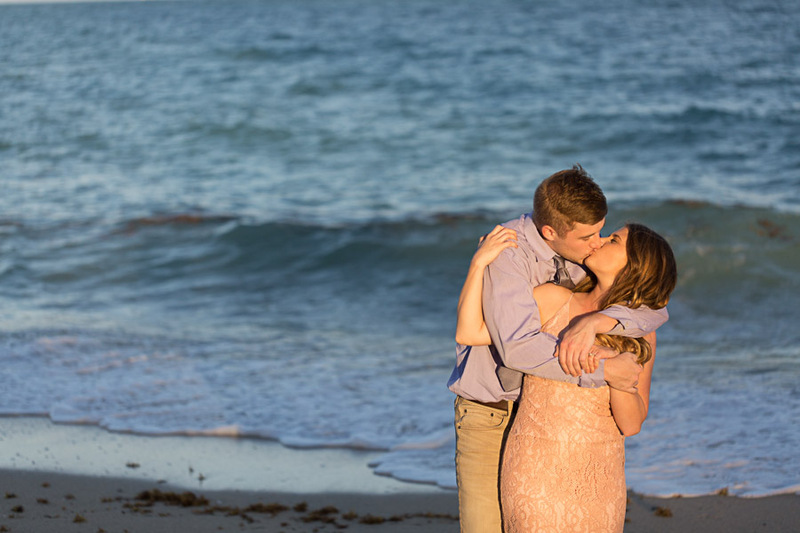 Contact me here to book a surprise proposal, couple or family photo session or email me at info@tovaphotography.com. 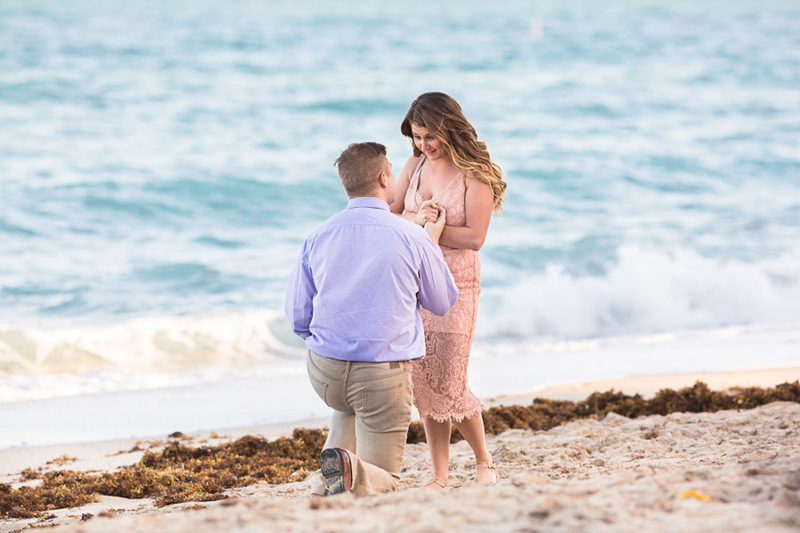 This entry was posted in Surprise Proposals and tagged bal harbour, Couples, engagment, miami proposal photographer, miami surprise proposal, proposal, proposals, ritz carlton, ritz carlton bal harbour, surprise proposal on April 17, 2019 by Tova Photography. 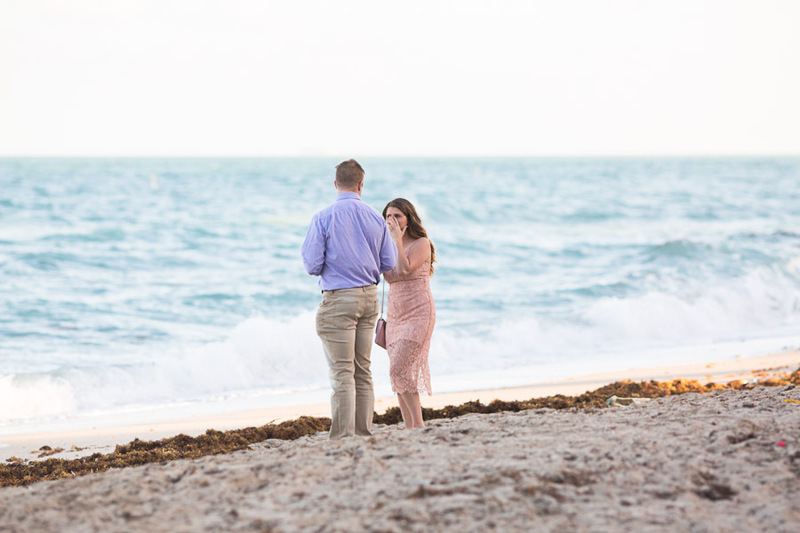 Couple Proposal Miami Beach: Surprise engagement! Just a little while earlier: he proposed!! 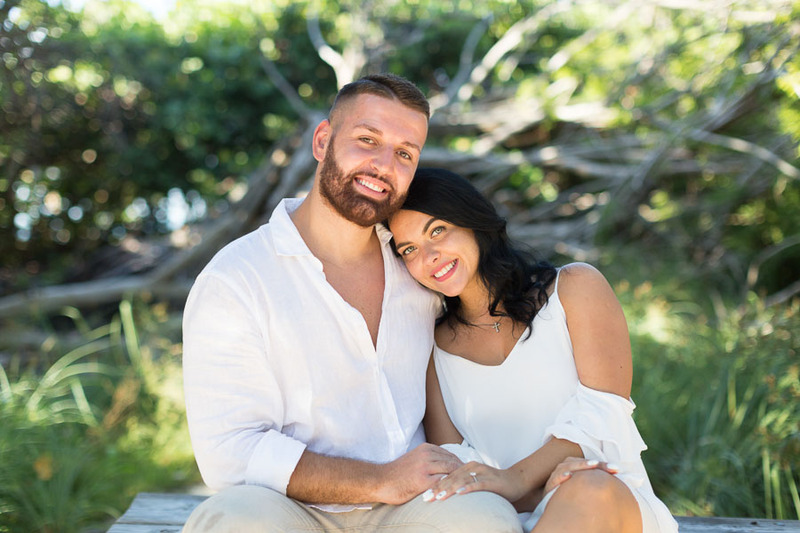 These two are both from Brooklyn, New York and met each other through her best friend. They’ve been together now for 8 years! 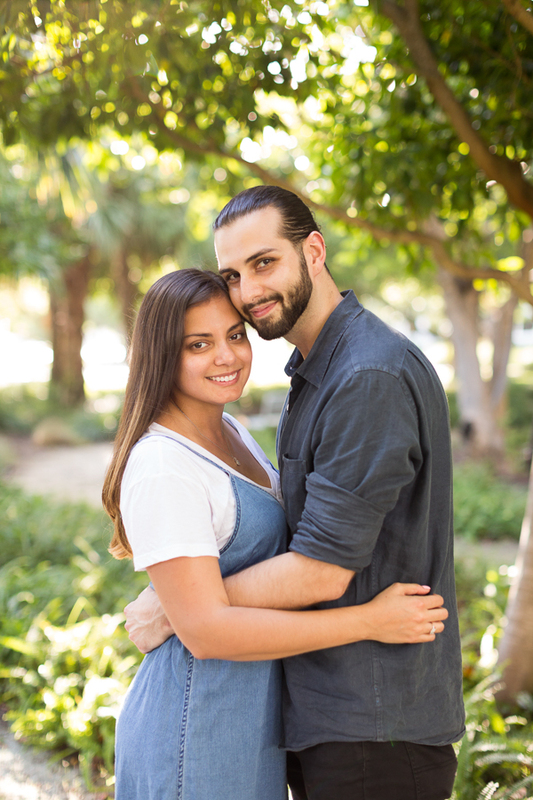 He contacted me in advance about proposing, so we met up at South Pointe Park one afternoon. He fabricated a story to her that he was doing a music video with friends at South Pointe so they needed to go there. 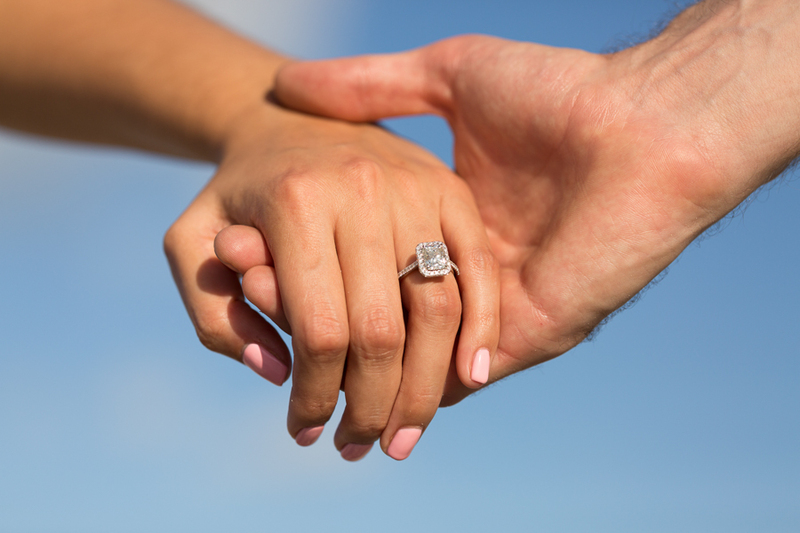 Suffice to say she had no idea he was about to propose! 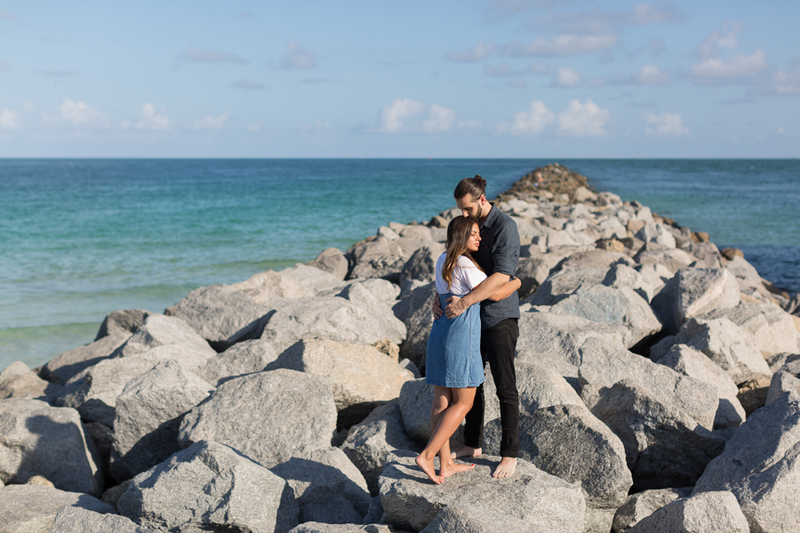 So glad I got the opportunity to capture their engagement and some sweet photos of the two of them together afterwards. 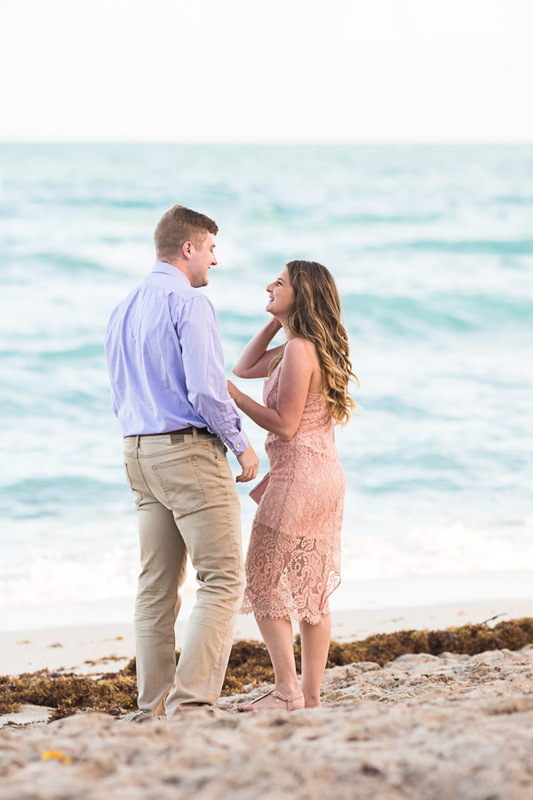 See all of the surprise proposals in Miami on the blog and on Pinterest. 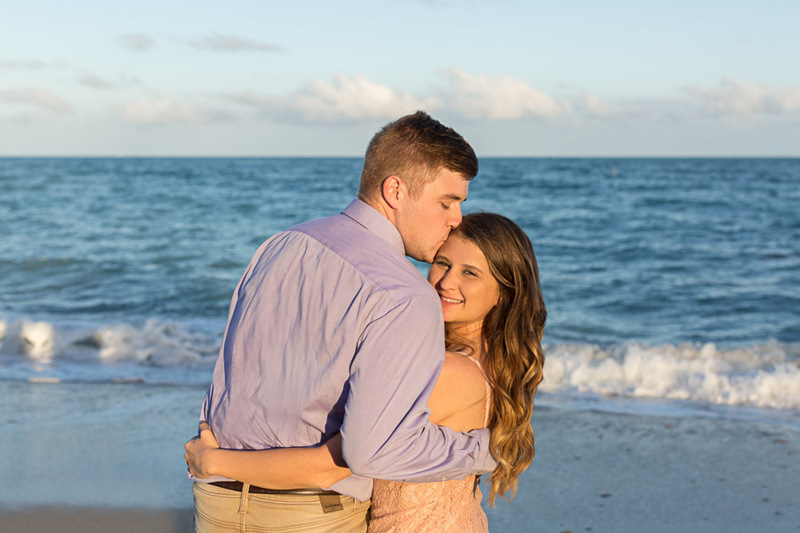 You can also take a look at other photo sessions at South Pointe Park. 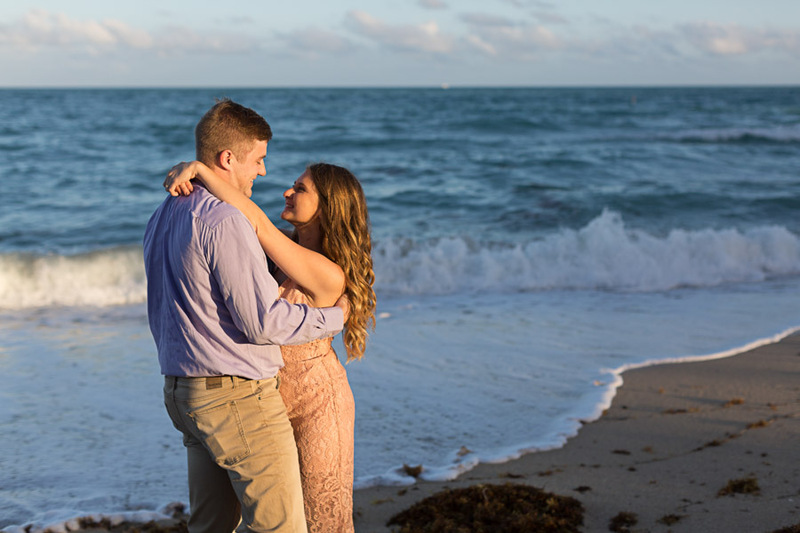 This Couple Proposal Miami Beach took place in the afternoon about 2 hours before sunset. 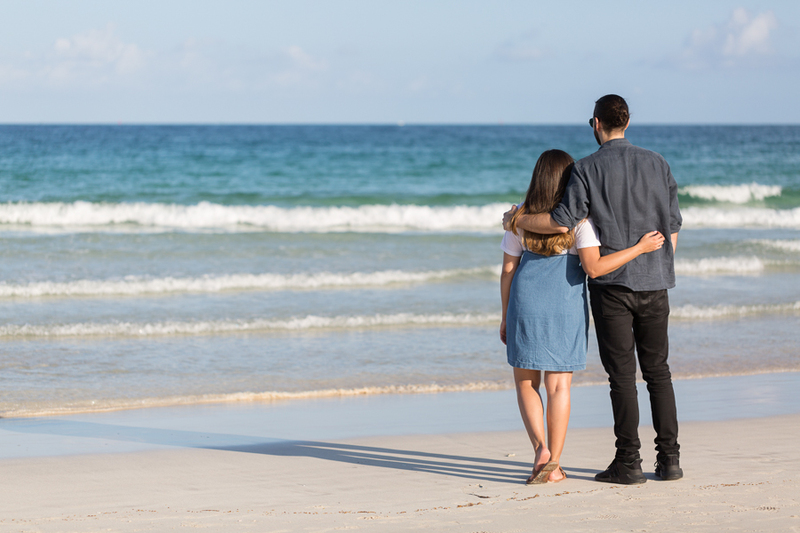 The best time for a beach session is generally around sunrise and 1-2 hours before sunset. Contact me here to book a photo session or send an email to info@tovaphotography.com. 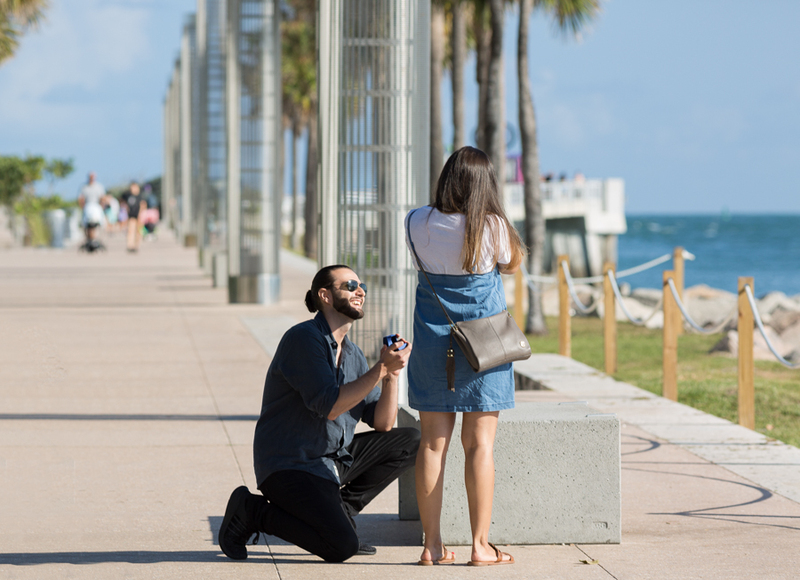 This entry was posted in Couples, Surprise Proposals and tagged Couples, Miami Beach, proposal, South Pointe Park, surprise proposal on April 15, 2019 by Tova Photography. 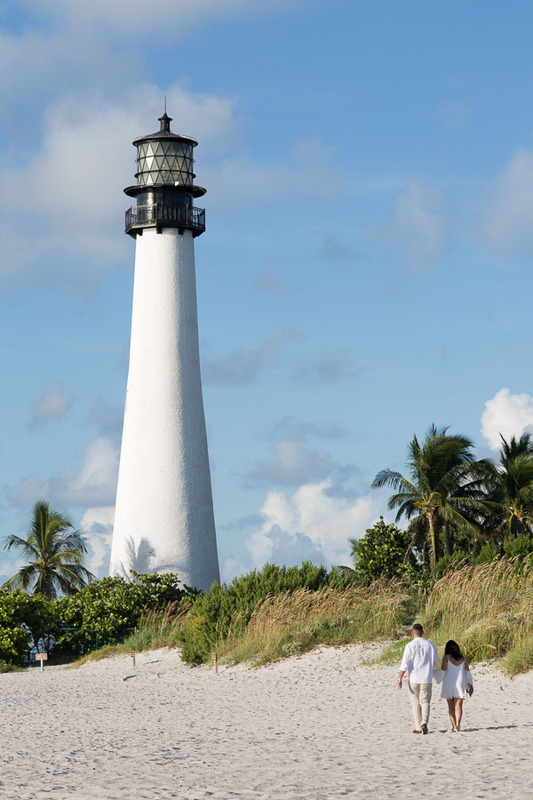 The plan: He wanted to propose at the Cape Florida Lighthouse in the early morning. 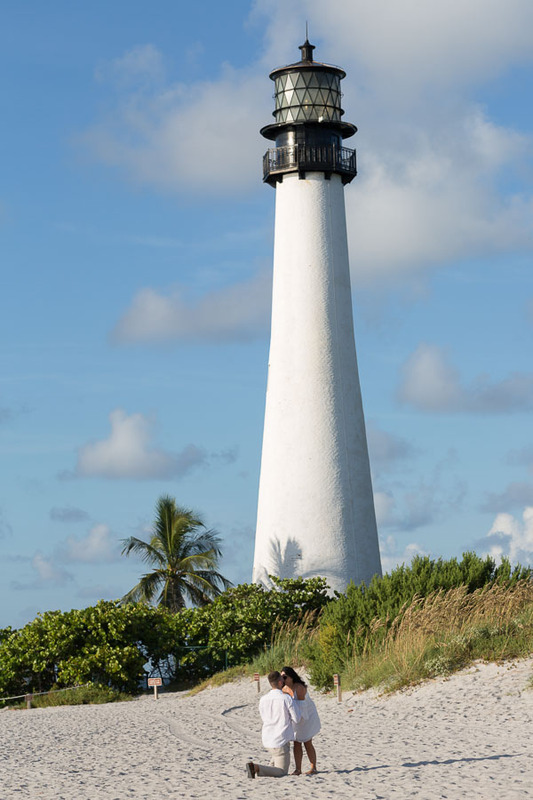 The lighthouse is located at the southern end of Bill Baggs Cape Florida State Park. 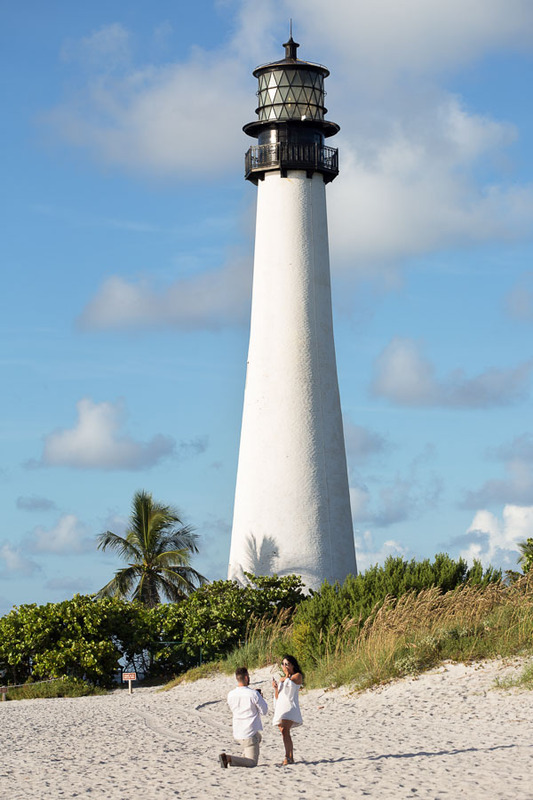 While the lighthouse itself usually opens at 9am, the state park opens at 8am so getting to the lighthouse earlier isn’t a problem. We arranged to meet at 8:30am. Cell phone reception in the park can be a little sketchy depending on the area, so everything had to be perfectly planned. 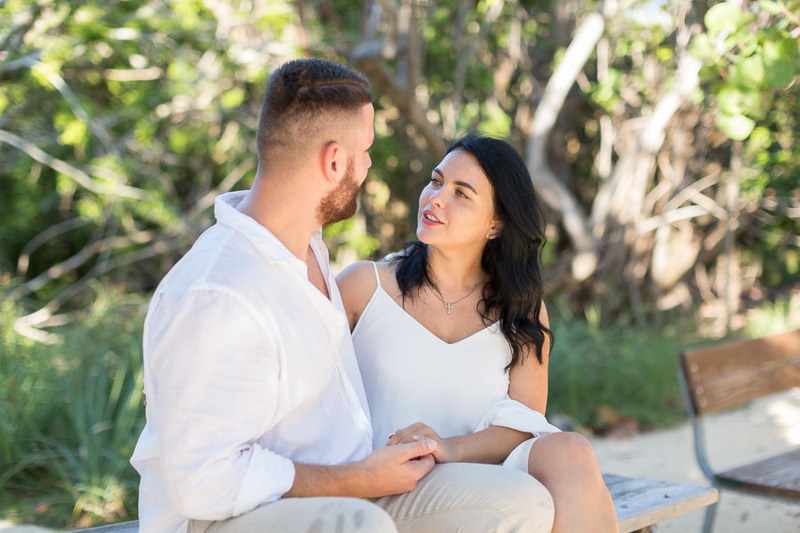 I sent him a map showing him exactly where to get dropped off at and which path to take to get to the beach. 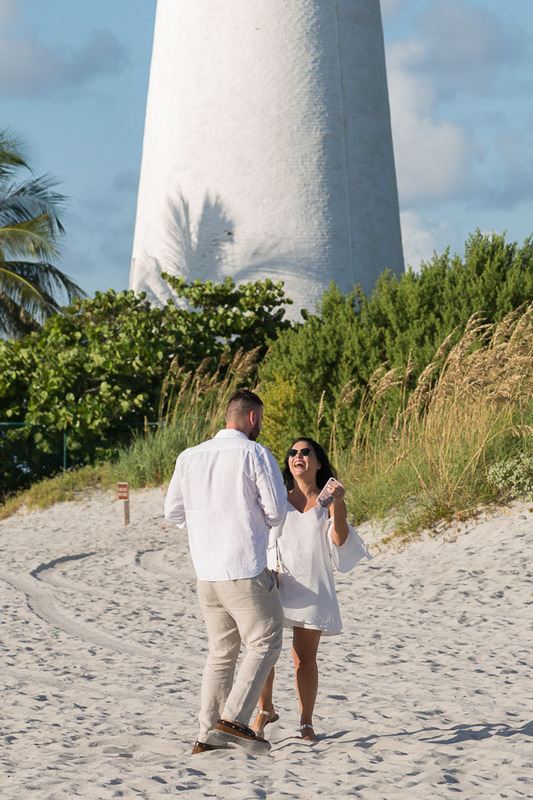 How it went down: I arrived early and found a good spot where I could capture the proposal safely from a distance and also get the lighthouse in the background. 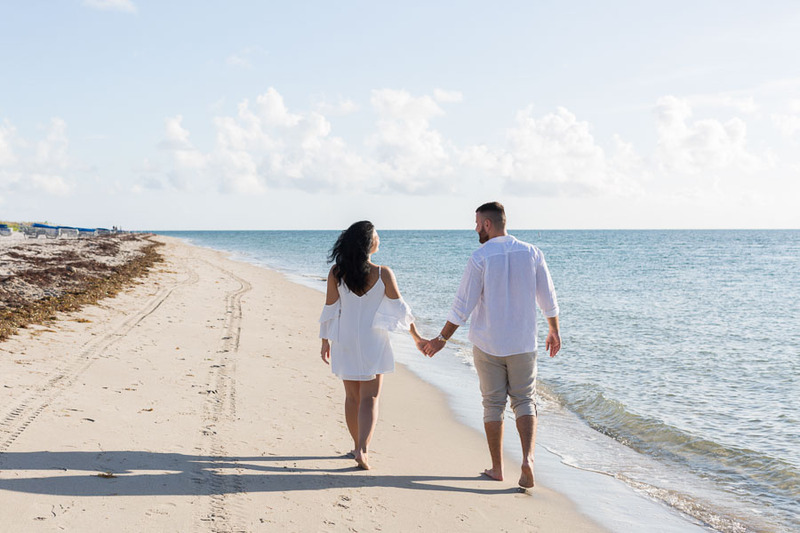 I saw them walking onto the beach and knew immediately it was them (he sent me a photo of the two of them beforehand and told me what they would be wearing). 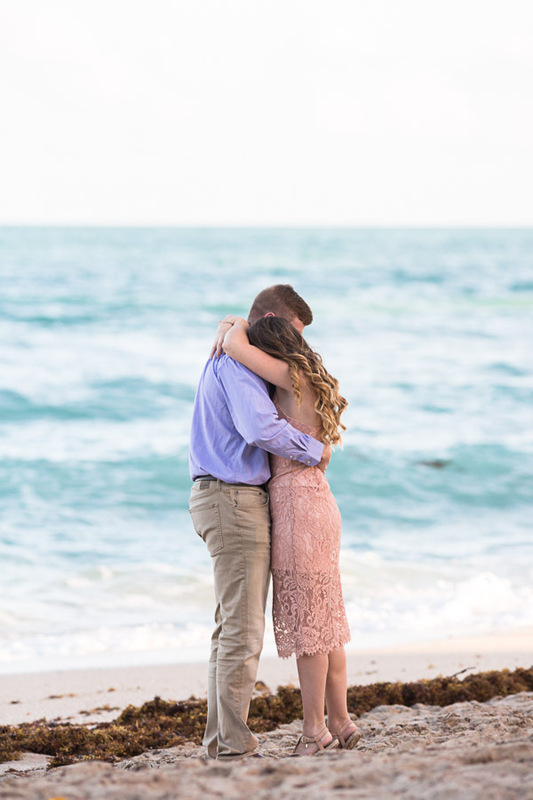 I followed them as they walked toward the lighthouse, and then captured the proposal and her excitement afterwards. We spent the remainder of the beautiful morning exploring the area around the lighthouse. The light was spectacular but more importantly the two of them were so sweet and adorable together. 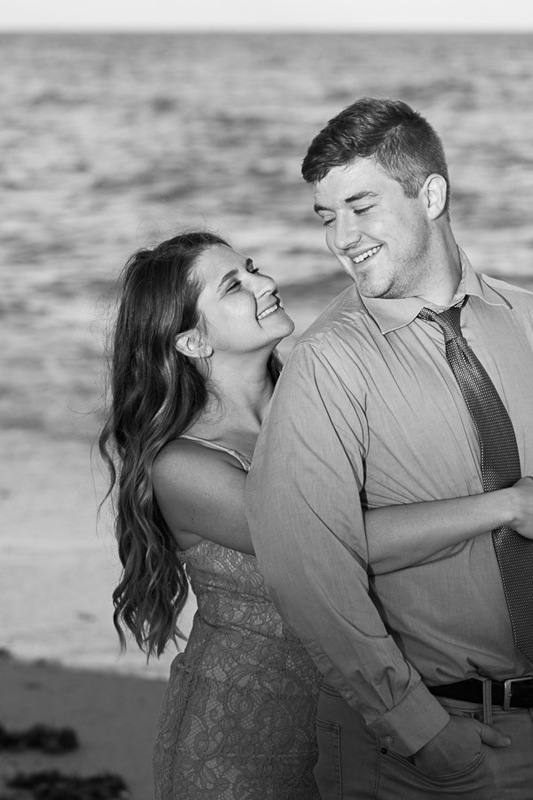 I love the way they would look at each other, completely enamored, and the way he easily made her break out in laughter. 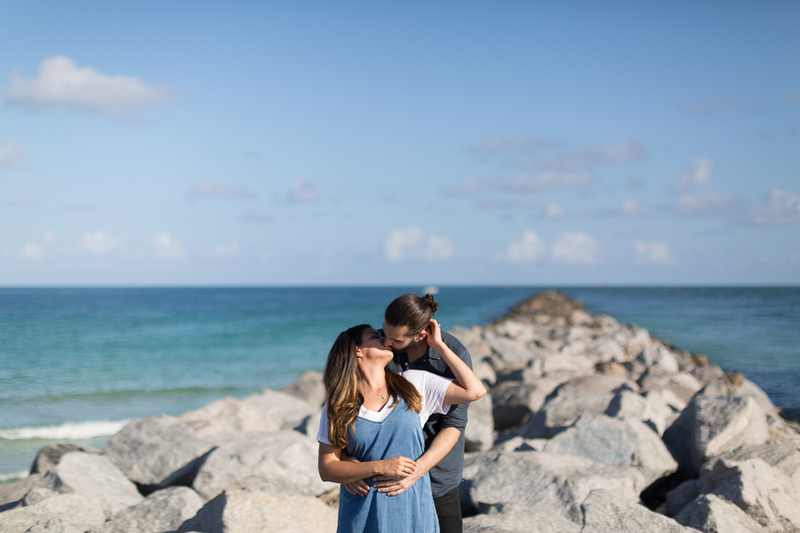 Check out all of the surprise proposal photography sessions in Miami on the blog. Take a look at all of the Key Biscayne photo shoots and the photo sessions at Cape Florida Lighthouse. 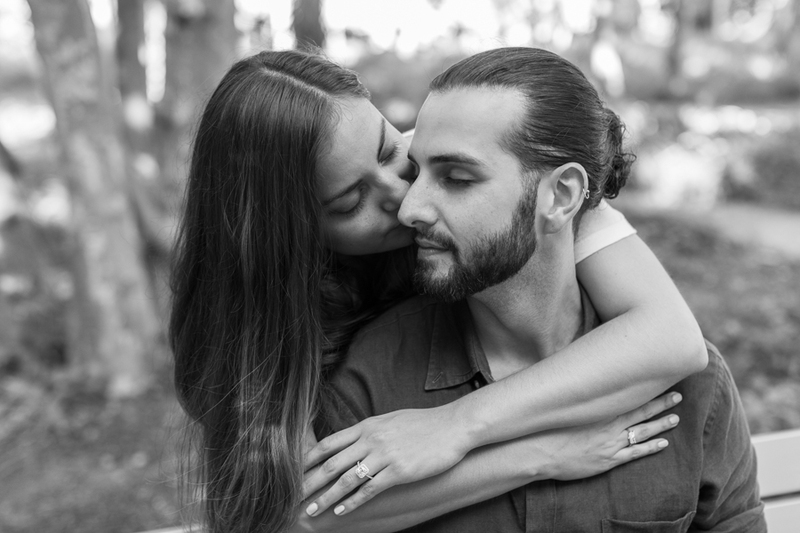 Contact me here or email info@tovaphotography to book a proposal, engagement or couples photo session in Miami. 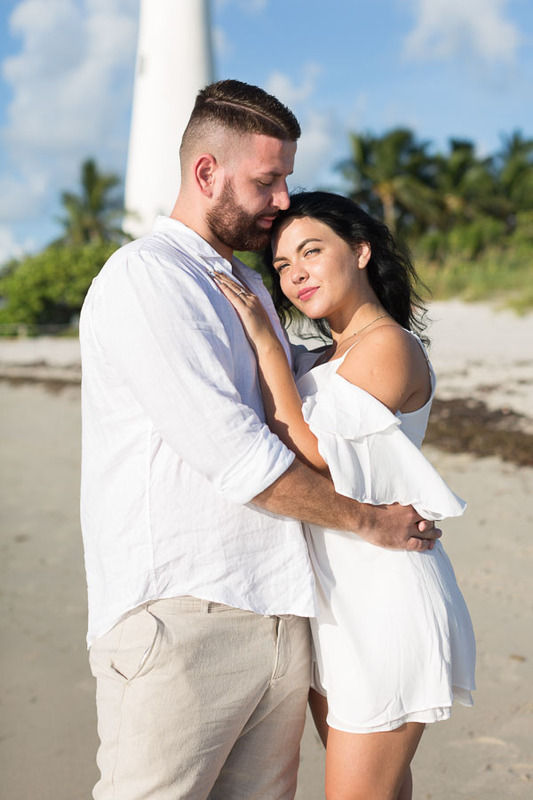 This Cape Florida Lighthouse Surprise Proposal Photographer session took place in Key Biscayne, Florida on an early morning day in September. 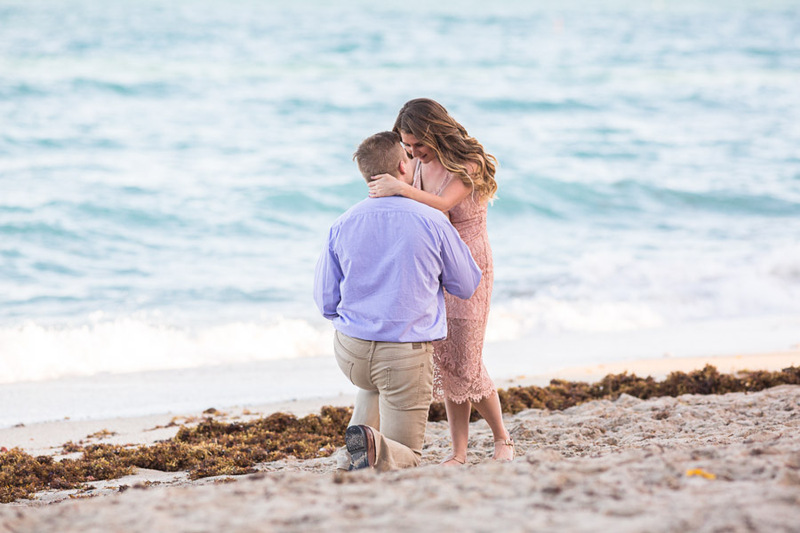 This entry was posted in Couples, Surprise Proposals and tagged bill baggs, bill baggs cape florida state park, cape florida lighthouse, Couples, engagement, key biscayne, surprise proposal on January 16, 2019 by Tova Photography.